The Zika virus outbreak took place in 2015. In November, the World Health Organization declared that it was not a Public Health Emergency of international concern. However, the issue of Zika virus should be addressed, as it is still an ongoing issue. The virus affects a fetus, causing dangerous abnormalities. Some of the affects are blindness and microcephaly. Older people are also in danger, since the mosquito-borne virus can cause neurological disorders regardless of age. With the help of portable and low-cost technology, the issue can be resolved in a quicker manner. Patients with Zika can be isolated and given care faster to slow down the virus spread across the specific area. Since Zika and other mentioned viruses have early symptoms, it’s possible to save a lot of lives by simply testing a lot of people after some of the symptoms have appeared in some small populations. Scientists from Sandia National Laboratories invented a diagnostic device for detection of Zika, chikungunya and dengue viruses. Their device combines a low price of $100 and portability since it is controlled via smart phone and needs a small battery for its work. Despite its portability and price, the invention is very effective and can find one of the mentioned viruses within only half an hour. Any way, the common zika virus testing can take a long time to order and perform, not to mention its high cost. Zika, chikungunya and dengue viruses affect mostly developing countries, and so portability and an affordable price were the must. In case of using the current popular technology of viruses detection, patients have to wait several days until all the tests are completed. Furthermore, the cost of the instruments for Zika detection is more than a couple of thousand dollars. The researchers said that a smart phone is a key feature of their invention. 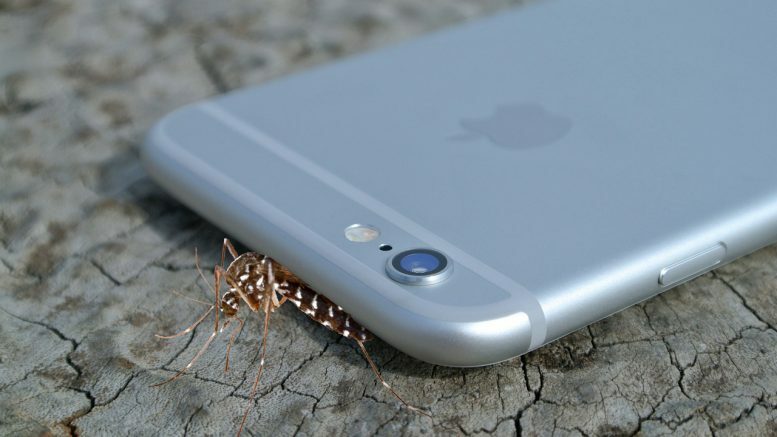 Aashish Priye, the lead author of the study and a chemical engineer, pointed out that smart phones can be used not only for convenience as a simple interface, but also smart phone cameras can replace analysis tools, which are commonly used for Zika detection in a laboratory environment. The diagnostic method used in the device is called the loop-mediated isothermal amplification (LAMP). This method excludes the need for processing a biological sample before testing. As for now, scientists need to extract DNA or RNA from the sample after transporting it to the laboratory. After the sample is prepared, it goes through a polymerase chain reaction process. During PCR, the sample is heated and cooled multiple times. This causes the replication of Zika’s or other viruses’ DNA or RNA enough for detecting. PCR is a high energy-consumption method, which requires expensive components. This made PCR effectiveness pretty low, since those components are not that portable and expensive in their transportation. LAMP uses the same principle, however, it excludes the process of heating/cooling and so takes significantly less power. The temperature the LAMP method requires for detection is only 150 degrees Fahrenheit (about 65 in Celsius). This can be explained by special biochemical agents the scientists used for their invention. According to Robert Meager, a chemical engineer of Sandia National Laboratories, samples are not required to go through prior preparation before testing. Meager said that they have demonstrated the chemistry they had been using can amplify RNA from raw samples. He added that this was an ideal scenario since no one wants any additional equipment for RNA or DNA isolation. The LAMP method is not the only invention of Meager and his colleagues in this field. The researchers also developed the method that combines LAMP with the additional detection process. This lets LAMP detect multiple viruses at the same time, saving the time and money on extra equipment. That detection technique is called QUASR, which stands for “quenching of unincorporated amplification signal reporters.” It uses viral DNA in combination with molecules that emit light signals, called fluorophores. The combination of viral DNA or RNA with fluorophores made them visible after affecting them with bright light. In the project of Sandia, a smart phone sensor is acting like a fluorimeter. After the bright light affects the sample, Zika’s or other viruses’ DNA become visible for a smart phone, and it detects QUASR LAMP signals if they appeared after the bright light. To initiate the LAMP reaction, the user needs to place the smart phone upon the special LAMP box and just open the application. In half an hour, smartphones photograph the sample and use the special algorithm to analyze the picture and detect areas with the specific brightness and color. In case a sample contains viral DNA or RNA, it will be glowing in a special way that is easy to detect by the smart phone. On top of that, the cost of tools for detecting those viruses depends on the phone that was selected for the use with a LAMP box. The phone should be able to open the application and have an optical sensor for sample scanning. For the study, scientists used a $20 smart phone. Be the first to comment on "Testing for Zika on a Smart Phone"